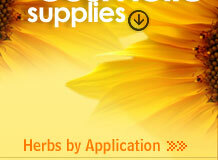 Wholesale suppliers and exporters of Fennel Seeds and Fennle Roots. An annual herb, 30-60cm high, leaves pinnatifid or ternately pinnate, flowers small, white in compound umbels, fruit avoid or pyriform, laterally compressed, broad, greyish green to greyish brown, mericarp broadly avoid, 5 ridged with short hairs and numerous vittae. Anise contains a volatile oil, furabicicoumarins, flavonoids, fatty acids, pheylpropanoids, sterols and proteins. Antheole has an observed oestrogenic effect, and the seeds as a whole are mildly oestrongenic. The effect substantiate the herb's use as a stimulant of sexual drive and of breast-milk production. Tiny amounts of the essential oil, produced from the seeds, are added to toothpaste, perfumes and mouthwashes, and are used to mask bitter medicines, but in large amounts Anise is highly toxic. Grounded seeds are added to a face pack. Seed oil is used in perfumes, toothpastes, soaps and mouthwashes. Aromatic Seed Use crushed in potpourri. Anise mixed with bay leaves provides an excellent bath additive prior to ritual. Using anise in potpourri around the house wards off evil, and anise in your sleeping pillow at night will chase away the nightmares. The essential oil is used in ritual baths prior to any divination attempts. It is believed that hanging an anise seed head on your bedpost will restore lost youth. The seeds are carminative (they move gas out of the intestinal tract). Used in tea or as lozenges, they soothe a hard cough. The composition according to the invention is intended primarily as a product for topical cosmetic application to human skin, especially as an agent for conditioning, moisturizing and smoothening the skin, and preventing or reducing the appearance of lined, wrinkled or aged skin. 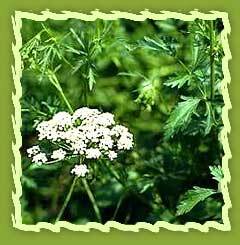 Anise is used in cough mixtures, as it is expectorant and soothes spasms of irritant coughs and bronchial problems. It promotes estrogen production and is used to encourage breast milk, ease childbirth, and stimulate libido. Anise seeds are known for their ability to reduce wind and bloating, and to settle the digestion. They are commonly given to infants and children to relieve colic, and to people of all ages to ease countering period pain, asthma, whooping cough and brochitis. The seeds expectorant action justifies their use for these respiratory ailments. Anise seeds are thought to increase breast-milk production and may be beneficial in treating impotence and frigidity. Anise essential oil is used for similar complaints, and is also used externally to treat lice and scabies.